During the summer, we tend to be more active, but as my legs can attest, we are also more prone to injuries like burns, cuts, bites, and poison ivy. So, here are some of the natural first aid remedies that I always keep around my house. Arnica montana, both oral and topical, is the first thing I grab for any injury that involves bruising or swelling. When used right away it can reduce the severity of pain from sprain and bruises as well as seeming to shorten the healing time. I have also found arnica to be helpful for pain from overdoing it. If I have a cut or scrape, I apply a salve that contains herbs like calendula and comfrey to help speed the healing of the skin. Calendula helps reduce inflammation and stimulates tissue healing while also being mildly antimicrobial. Comfrey shares most of these traits while also being soothing to the skin in a similar way to aloe. Comfrey has such a reputation for speeding up healing that it is not recommended for use on deep wounds, because it can cause the skin to heal before the underlying tissues do. 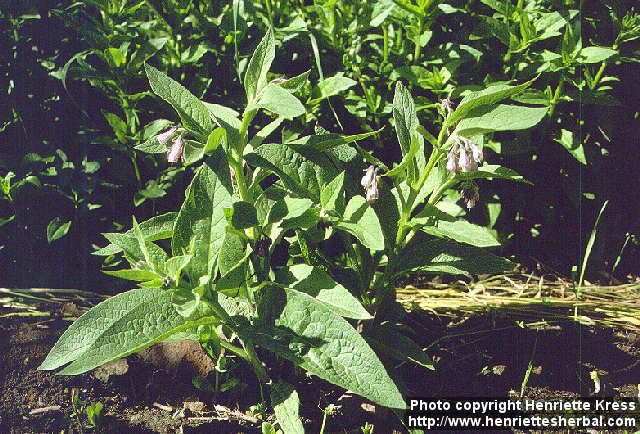 Comfrey is also applied topically to relieve pain and speed healing of sprains and broken bones. If you want to learn how to make a comfrey poultice, check out these instructions from learningherbs.com. In addition to the common favorite aloe for minor burns, I usually either add a few drops of lavender essential oil to the aloe I am applying. It is correct that you are not supposed to put oil on a burn, but essential oils are not actually oils. While it has an oily texture, lavender oil evaporates quickly and therefore helps to rapidly cool the burned skin, while regular oil would trap the heat. For insect bites and poison ivy, early application of clay can be very useful. I have been using bentonite clay but any kind will do. For the summer, you can mix up a small batch of clay using just enough water to make a thick paste and store it in the refrigerator well covered for handy access. Clay works by absorbing toxins from the skin, and I have found it to relieve the itch of poison ivy fairly quickly if I apply it for one to two hours every day for a few days. Activated charcoal can be used in a similar fashion for bites and wounds. I always have activated charcoal capsules on hand to help with issues like food poisoning too. Activated charcoal can help by absorbing some of the toxins that harmful bacteria release into our digestive tract, thereby helping to reduce the severity of symptoms. So stocks up on some of these basic items and have fun staying well this summer.